The source of the river Nile remains a matter of debate. South of Aswan and Abu Simbel near the Egypt-Sudan border, the river passes through Lake Nasser and Lake Nubia and winds through Sudan. In Khartoum, the Nile splits, with the White Nile continuing south to Lake Victoria and a source point in either Rwanda or Burundi, and the Blue Nile heading southeast into Ethiopia to the source point at Lake Tana near Bahir Dar. Addis Ababa – “New flower”. King Menelik II’s wife found a new flower growing where the Sheraton hotel now stands in the city, and coined the name of the city after the discovery. Birr – the well-used currency of Ethiopia. Wash your hands after handling. Castelli’s – Excellent Italian restaurant in the fancy Piassa district made famous by celebrity diners Brad Pitt and Angelina Jolie when they were in town to adopt Zahara and better known locally for having extremely rude owners. Dehna – “fine/well”. Also used as a general response in polite company to just about any question. Ethio-cinema – Ethiopia’s film industry is second only to Nollywood, Nigeria’s booming film culture, among African countries, I was told. National blockbusters include A Guy’s Thing and A Guy’s Thing 2 (pictured below). Plots of these films involve a number of angry wives and pregnant ladies chasing men around town, but as there were no subtitles, I can’t be more specific. Fasika – a cultural restaurant much like rival Habesha that features dinner and a show. Ethiopian dancing is shoulder-centred and some of the ladies pull off mindblowing head spins that defy the physics of neck functions. Great Ethiopian Run – the annual 10km marathon around Addis Ababa with 30,000 participants at 10,000 ft of elevation. Haile Selassie – last monarch in the 3000+ year Solomonic dynasty that ruled Ethiopia. Famously resisted the Italian invasion of 1936 before the League of Nations and died under mysterious circumstances. Widely revered as an iconic leader. Injera – a sour, fermented pancake made from teff, a grassy grain native to Ethiopia. Judaism in Ethiopia – Known as the Falasha in Ethiopia and the Beta Israel in Israel, Ethiopian Jews claim their Jewish heritage by descent from King Menelik I, the reputed son of the Queen of Sheba and King Solomon. Kaffa – the birthplace of coffee, where legend has it a shepherd noticed his goats were very energetic after snacking on some coffee plants. Lucy – the 3.2 million year old Australopithecus afarensis (a.k.a. 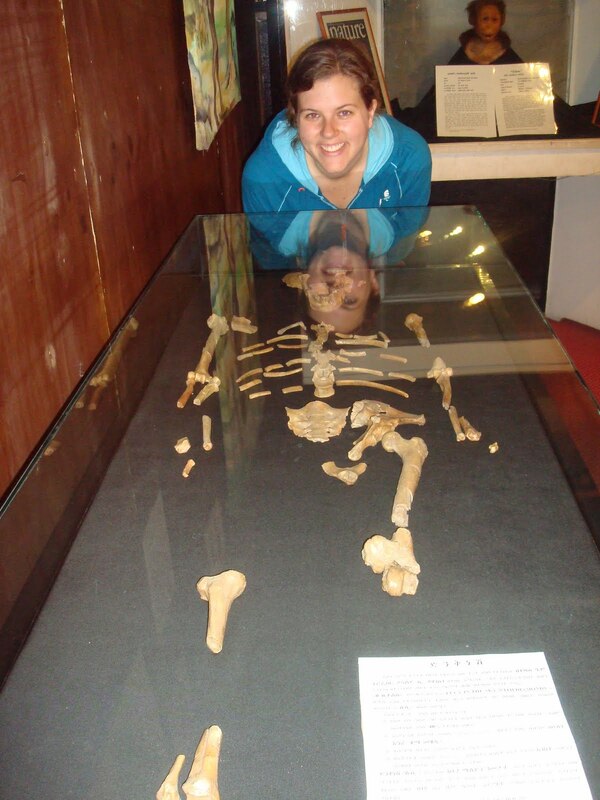 “Lucy” or “Dinkinesh”) remains found in the Great Rift Valley by Dr. Leakey. She was nicknamed “Lucy” because The Beatles’ Lucy in the Sky with Diamonds was playing at the dig campsite just after the discovery. ) Also found here was Selam (“Peace”), the oldest child hominid ever found. The Great Rift Valley has yielded bones of human ancestors that are anywhere from 200,000 to 10 million years old. Model of Lucy – actual Lucy was on tour in Chicago at the time. Merkato – the largest open air market in Africa, in Addis. Great shopping but watch for pickpockets. Nile – World mystery solved; the source of the Nile is in Ethiopia. Lake Tana near Bahir Dar is the spring of the Blue Nile. Omo Valley – Home to over 200,000 tribal people in Ethiopia, with remarkable cultural diversity among the 15 tribes in this undeveloped corner of the country. Peacock Cafe – a coffee drinking institution in Addis Ababa. The waiters are lifers; they are all about a hundred years old and they know their business when it comes to Mekyato (Amharic rendition of macchiato). Queen of Sheba – The city of Axum used to be a major center of the ancient kingdom of Abyssinia, ruled over by the Queen of Sheba, and it is home to the Ark of the Covenant, kept under lock and key by the Orthodox high priests. It is told that King Menelik I, who was the son of King Solomon of Jerusalem and the Queen of Sheba, brought it here from Jerusalem for safekeeping way back when. Rastafarians – repatriated from Jamaica and elsewhere to Mother Africa and now residing in Shashamene. Spotted Hyenas – the Hyena Man of Harar feeds strips of raw meat to wild hyenas (mouth to mouth! ), largely to entertain tourists. Tej – honey wine, similar to mead. U – as in unable to think of or find a word or name in Amharic or Ethiopia that starts with U.
Volcano – Erta Ale is one of the hottest places on Earth, one of only five world-wide with an active lava lake, which has been active since 1906. Wat – thick stews/curries with meat and/or vegetables spiced with berbere. Xamtanga – a Cushitic language spoken by the Xamir people of the Amhara region. The 1994 Census reported 77 languages spoken across Ethiopia. Yared – patron saint of music in Ethiopia Orthodox Christianity. Zebras – Grevy’s Zebra is an endangered species that is legally protected in Ethiopia, with a hunting ban in place since 1977. The plane bounced on the tarmac when it landed in the middle of the night. The whole flight had been a stressful ordeal. I am usually a good flyer, untroubled by the physics of being in a metal canister shooting through the sky or by the occasional bumpy bit of turbulence. This EgyptAir flight to Ethiopia was a different story though. It was the first time I had been on a plane and had the sensation that the pilot was speeding. The bouncy landing on the tarmac reaffirmed my theory that this was a pilot who was in a hurry to get to Addis Ababa (and possibly was a pilot who hadn’t quite trained enough to nail the advanced difficulty landing in this capital city surrounded by mountain peaks at 10,000 feet elevation above sea level).